New in: SENSO Quincy II ankle boots. Dang, those bad boys are rad. The zipper detailing is awesome! I really quite love these boots, shame they sold out so quick! elle from they all hate us looks incredible in them. looking forward to see how you style them. x.
those shoes are divine ! also, re: the white shorts you were speaking about / craving via your twitter..i'm pretty sure i remember seeing them on the Complex Geometries online store. but i could be wrong.. They'd go so well with the bag! 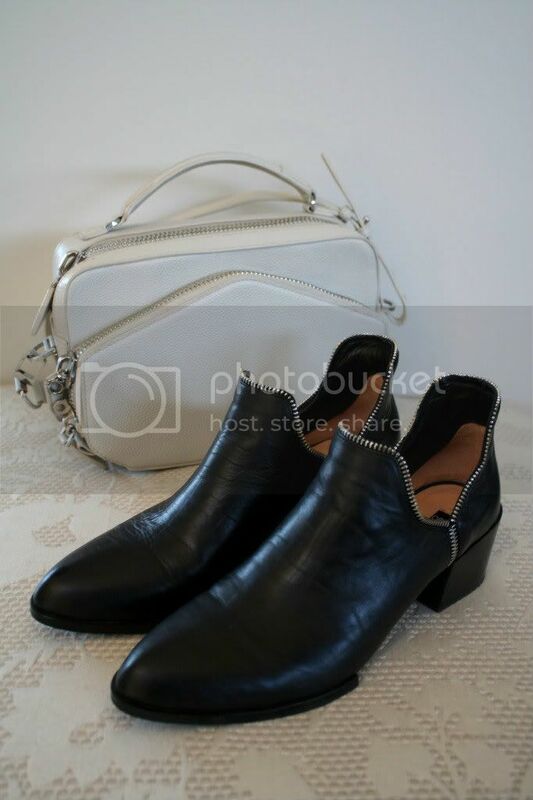 I've been looking for nice black ankle boots for a while now, these are so nice!